On Monday, September 3, 2018, at approx. 11:23 P.M Officers of the Cornelius Police Department responded to a report of shots fired at the Admirals Quarters complex off of Nautical Drive in Cornelius. The suspects are described as two black males, mid to late 20s, around 5'8" and with medium builds. The shooter was said to be wearing a dark colored hoodie and having scruffy facial hair. The driver of the vehicle may have a shaved head or close cut hair. 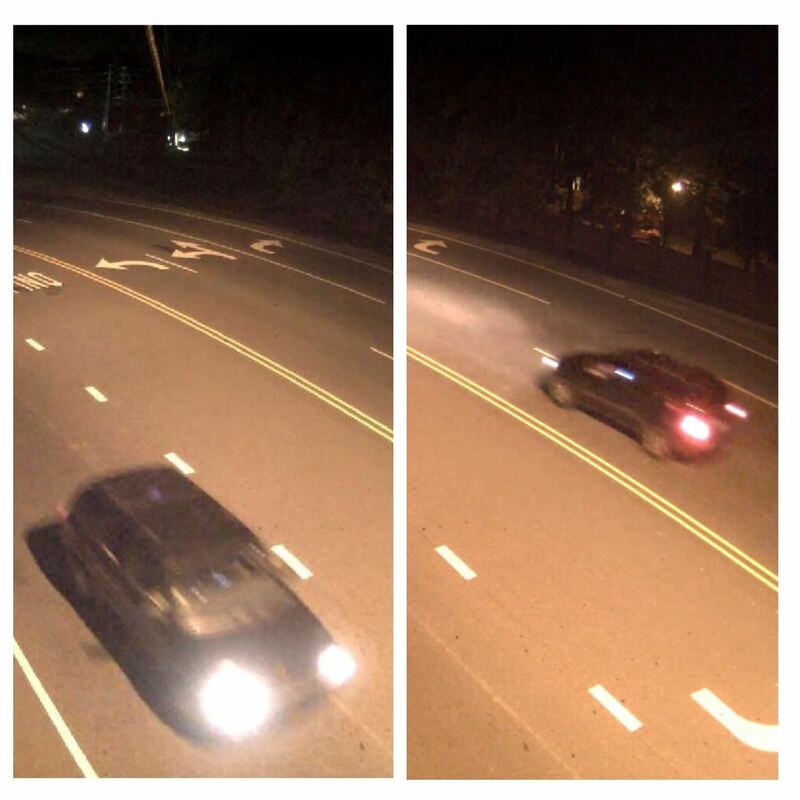 Below are photos of what is believed to be the suspect vehicle near the intersection of W. Catawba Ave and Sam Furr Rd entering and exiting Cornelius. The vehicle enters Cornelius at 11:13 pm on September 3, 2018, and leaves town at approximately 11:22 pm on the same date. According to witnesses, the suspects fled the scene in a dark green/blue colored mid-size SUV. Witnesses describe the vehicle as having a loud exhaust sound possibly due to a mechanical issue with the vehicle. The vehicle also appears to have an inoperable center brake light. The Cornelius Police Department is requesting anyone with information concerning this incident, the identity of the suspects or the identity of the suspect vehicle to please contact the Cornelius Police Department at (704) 892-7773 or North Meck Crime Stoppers at (704) 896-7867. A reward for $2,000 has been set for any information leading to the findings and arrests of the suspects and/or suspect vehicle involved in a homicide.